2. Can You Put a Relative Besides a Spouse on a Joint Account? A joint checking account generally allows multiple account holders to make deposits and withdrawals from the account, even without explicit permission from the other account owners. 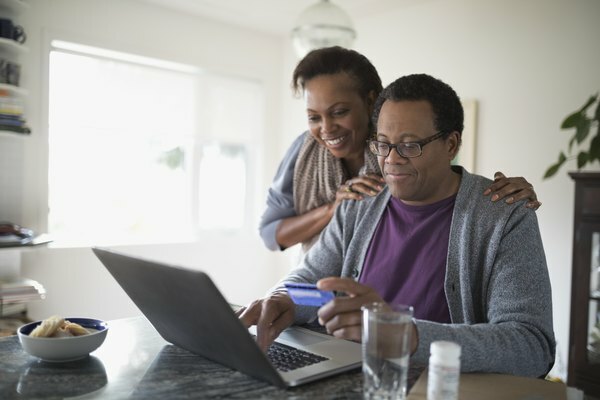 They can be useful for married couples or relatives who frequently share expenses or are in a situation where one party is supporting the other, but they rely on everyone who is signed to the checking account being able to trust the other parties. The usual joint account definition is one that has multiple owners with each person being entitled to make deposits or withdrawals with or without the other person's permission. Usually if you have a joint account you can also see the account transaction history or make changes to the account unilaterally. This can be useful for situations like when couples want to make household purchases from a shared account or when a parent wants to make some money available to a child in an account they both can control and monitor. The risk comes when the two parties disagree about how the money in the account should be used. Since both account holders have unlimited access to the funds, there's little the other person can do to restrain their spending. It's best to only open a joint bank account in situations where both parties trust each other with their finances. Even some couples will opt not to open a joint account if they know that they disagree on how money should be spent. Some people may also choose to open a joint account to which they will each transfer some funds to be used for agreed-upon purposes or in an emergency but keep the bulk of their funds separate. This can also be a good way to dip your toes into the water of joint checking accounts without endangering all your finances. If you have a joint check account and are concerned about how the other account holder is using it, you may want to set up a written agreement about how funds can be used. You can also frequently check online banking statements for any unusual use of the money or set up smartphone notifications for transactions on the account if your bank has such a system in place. If, for whatever reason, you realize that a joint checking account is no longer right for you, either party can usually close it at any time. You can choose to distribute the funds between you as you see fit and then close the account. It's sometimes best to discuss plans for how to divide the money before closing the account, but you're not technically required to do so, and you may want to avoid doing so if you're concerned the other person will try to steal the funds you think are rightfully yours. If you're concerned about who actually owns the funds or about a legal dispute, you can consider consulting a lawyer. This is likely more commonly necessary when a marriage is dissolving. Some corporate accounts require multiple officials from your company to sign them as part of corporate policy. It's not always possible to get a bank to enforce this policy, though, so you should make sure you understand your financial institution's rules before you rely on this feature for enforcement. You can also set up checks within your company to make sure all checks are accounted for and that checks aren't mailed out without the required signatures from the right people. You can also monitor returned checks from the bank to make sure one that didn't meet the requirements didn't slip through. One risk of joint accounts is that under the joint bank account laws in most places, the money in the account can be seized in a lawsuit or otherwise with a court order to satisfy the debts of either account holder. This means that if one person contributes money to the account and the other person is sued, fails to pay taxes or otherwise ends up with a court order seizing money, the money in the joint account can be taken. If you're concerned this might be a possibility, there's relatively little recourse besides limiting how much is in the account or avoiding joint accounts altogether. In most cases, the money in a joint bank account automatically passes to the other account holder if one account holder dies without the need to go through a probate process. This can be useful if funds are needed for funeral expenses, to settle medical debt or otherwise after the death of one account holder. It's a common scenario where a child has a joint bank account with a parent and the parent dies. This is something both parties to the account should keep in mind, since these provisions will generally make any will or standard inheritance procedure moot when it comes to the money in the joint account. Accounts with a "payable on death" provision typically work in a similar fashion, though the person designated as the beneficiary can't access the funds while the primary account holder is still alive. Talk to a lawyer or financial advisor if you have questions about inheritance law and how best to set up your estate so the people you intend inherit your money when you pass away. One alternative to joint checking accounts is to give a second person signature authority over another person's account. This helps avoid issues with debt and inheritance while still giving a second person access to money in the account. See if your bank has such a provision available if you are interested in such a feature. Of course, you should only grant such authority to someone you trust to have access to your money. Many credit cards have provisions where you can add an authorized user to your account. This person will get a card of his or her own, usually sent to the primary account holder, and will be able to make purchases that get added to the primary user's bill. This is common with spouses or parents and children. Some credit card offers even include incentives to set up authorized users as a way to encourage spending. This can also be a way to help someone build their credit, since some credit card companies will report information on such an account to the credit bureaus on behalf of the authorized user. If this is how you intend to use such a card, make sure the credit card company will actually do so. Some websites offer systems for people to add complete strangers as authorized users on their credit cards in order to boost their credit ratings. This can be dangerous, since although in theory the authorized user may never have the actual credit card number, if they manage to get it, they can run up a bill on your account. Some banks may also shut credit cards if they catch people doing this. In general, only add people as authorized users on your credit cards if you trust them to use them responsibly. LegalMatch: What is a Joint Bank Account? Two Cents: What Happens If I Add an Authorized User on My Credit Card?